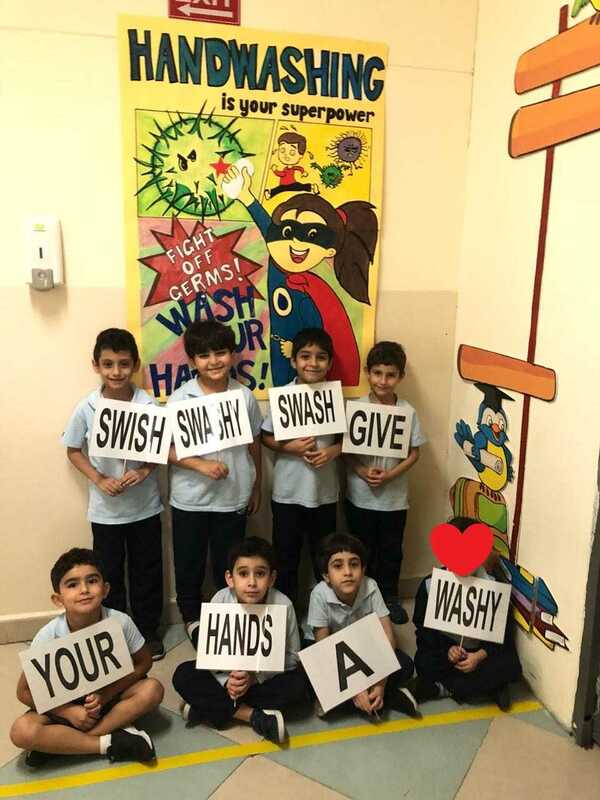 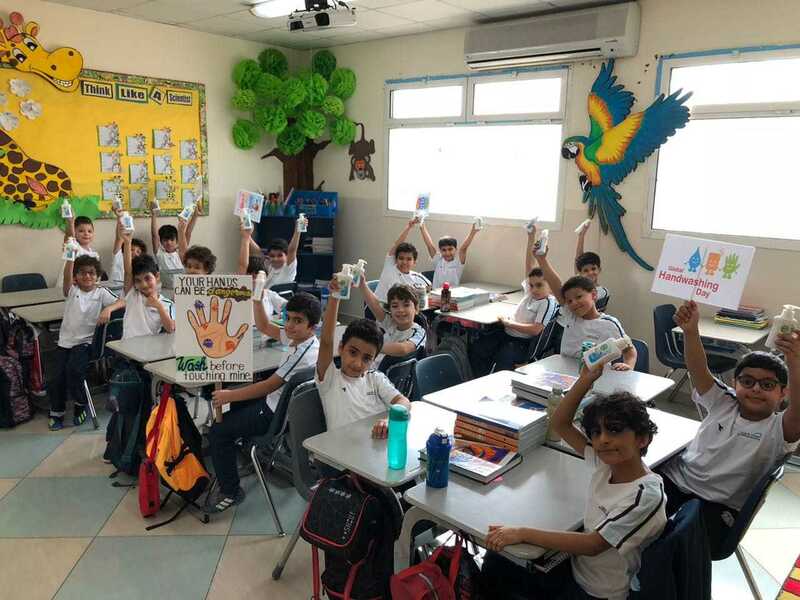 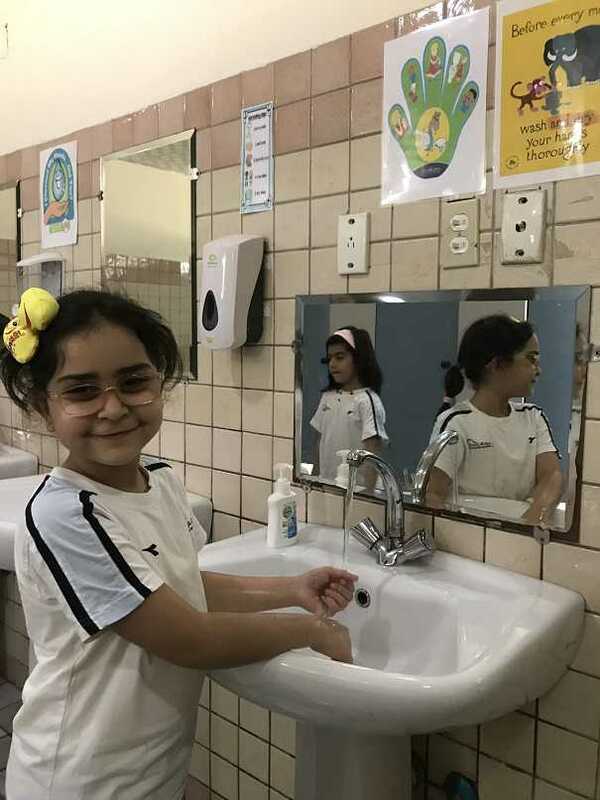 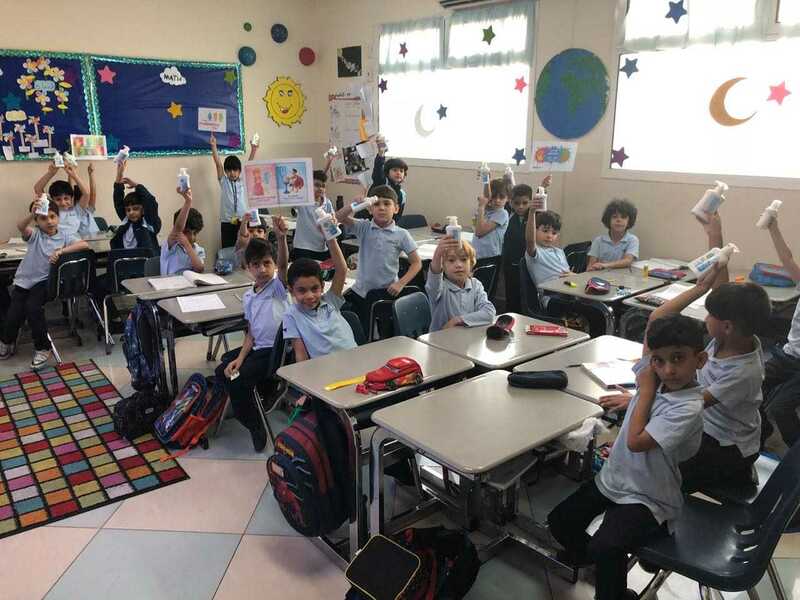 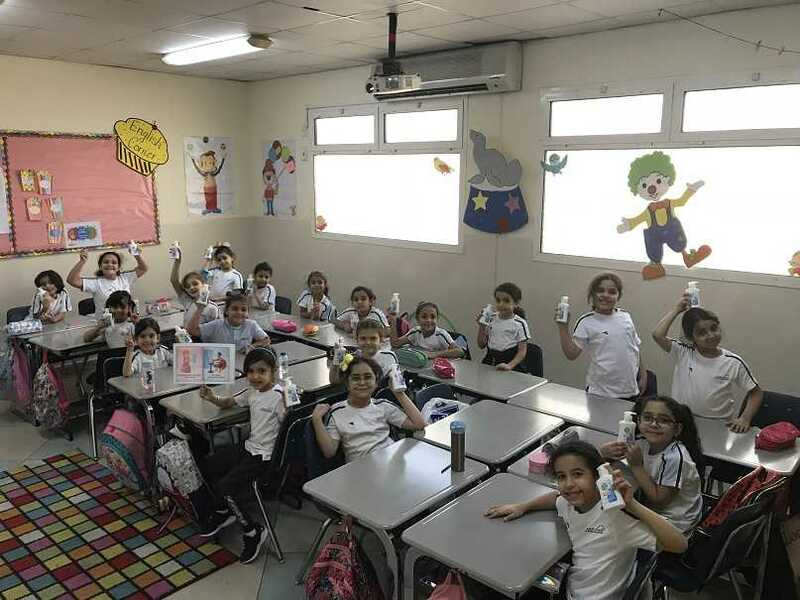 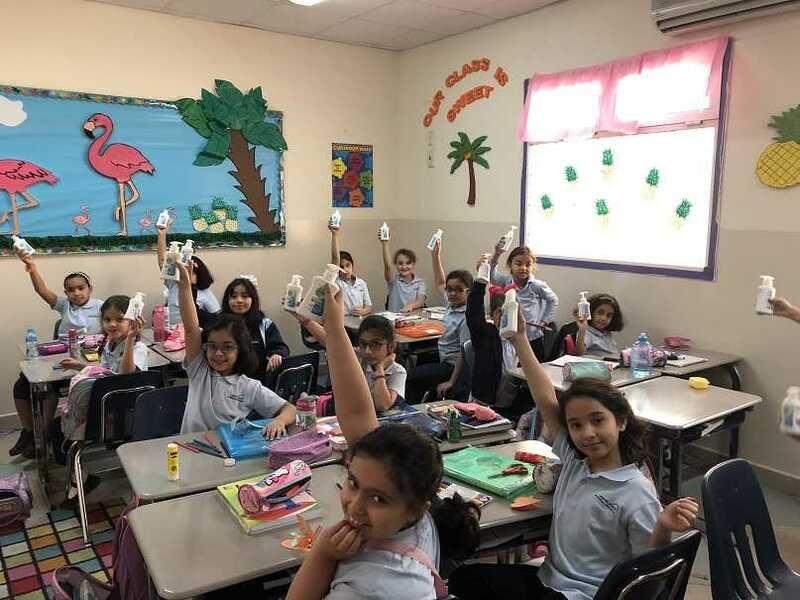 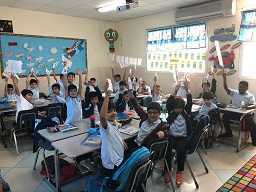 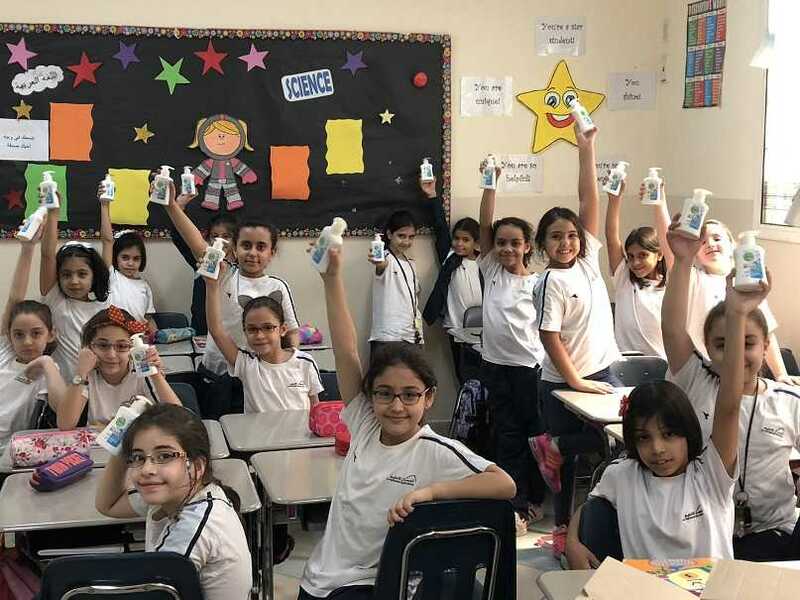 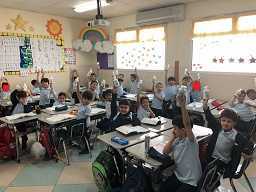 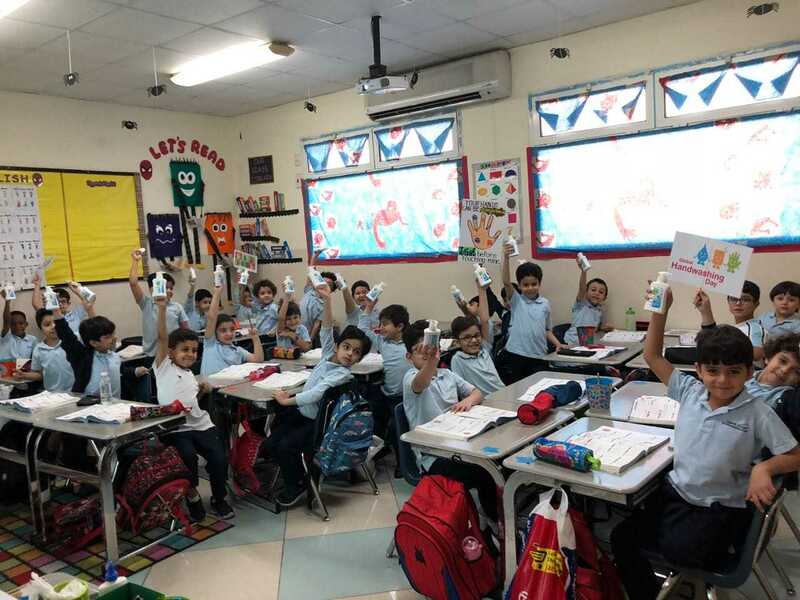 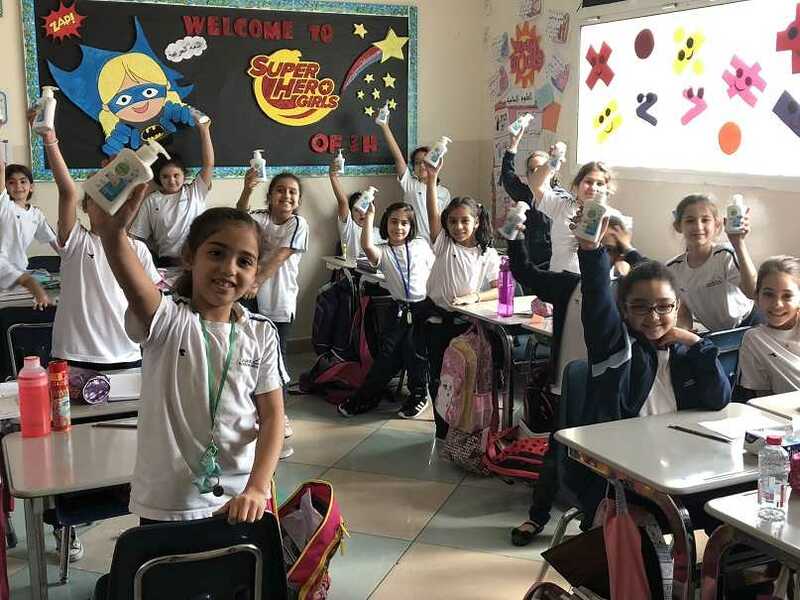 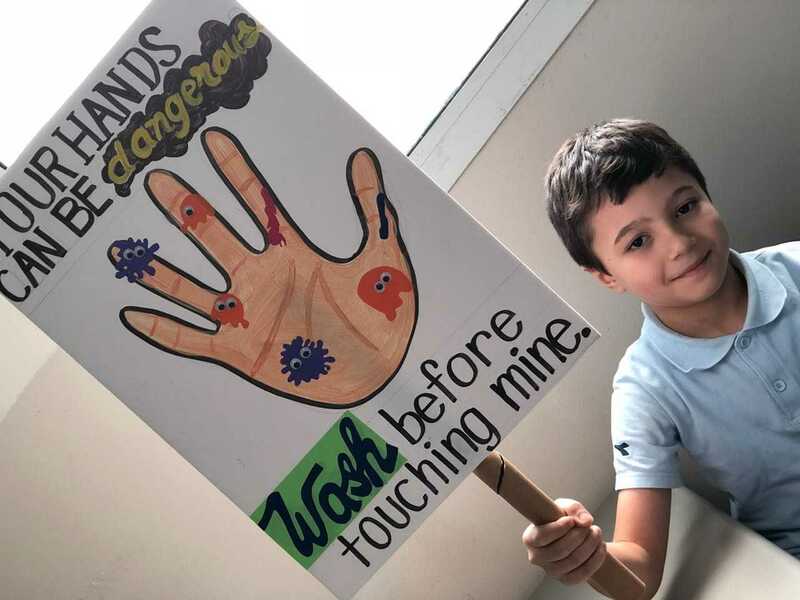 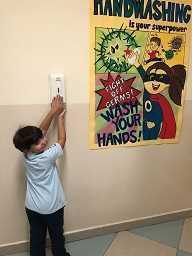 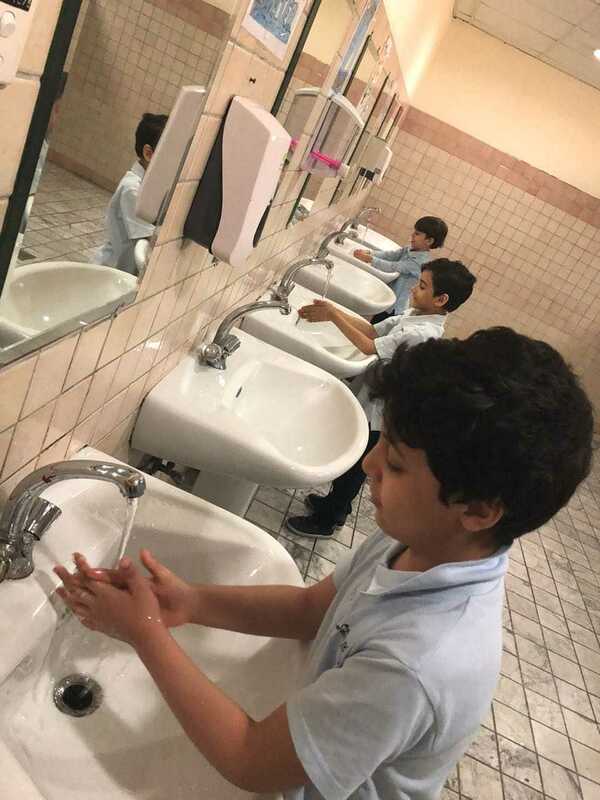 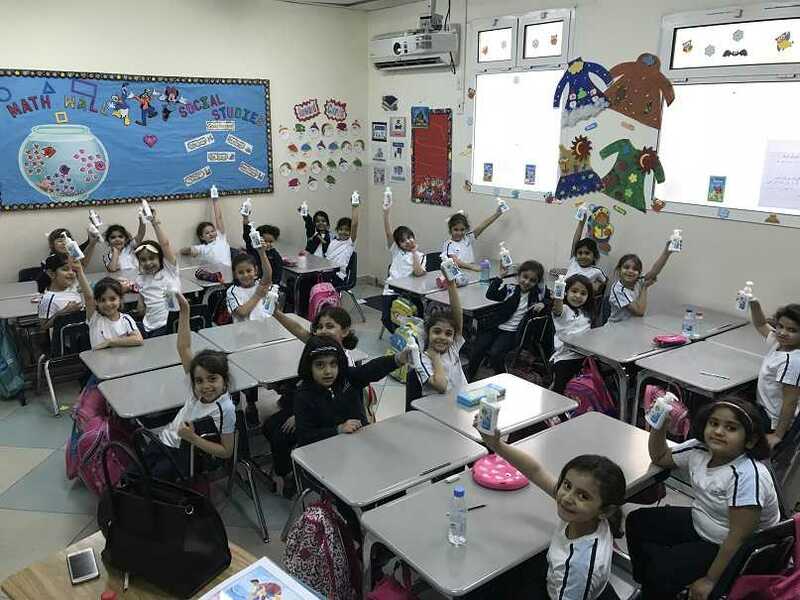 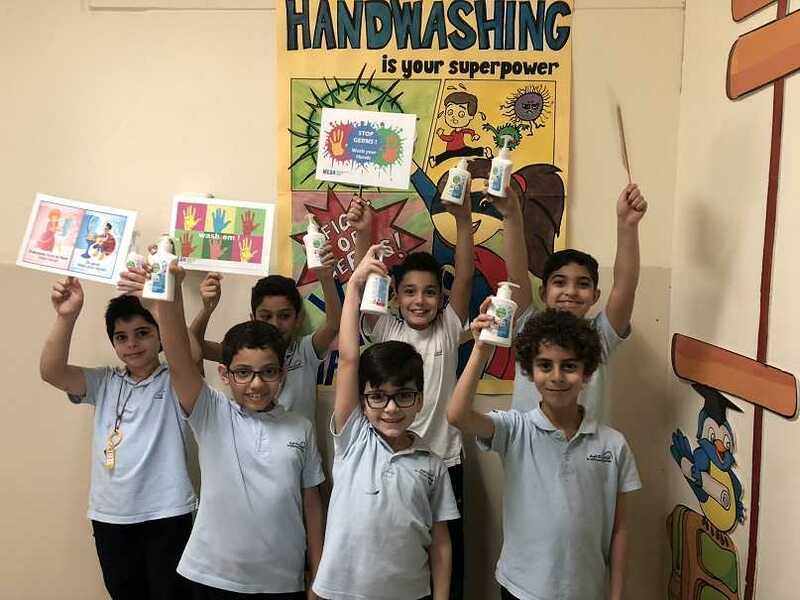 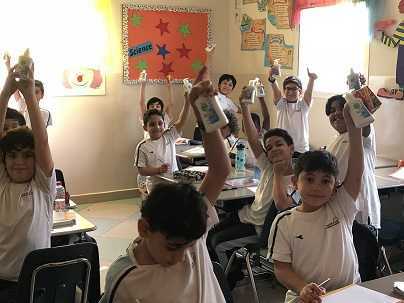 Global hand washing day was celebrated as an awareness campaign to motivate and mobilize students to improve their hand washing habit. 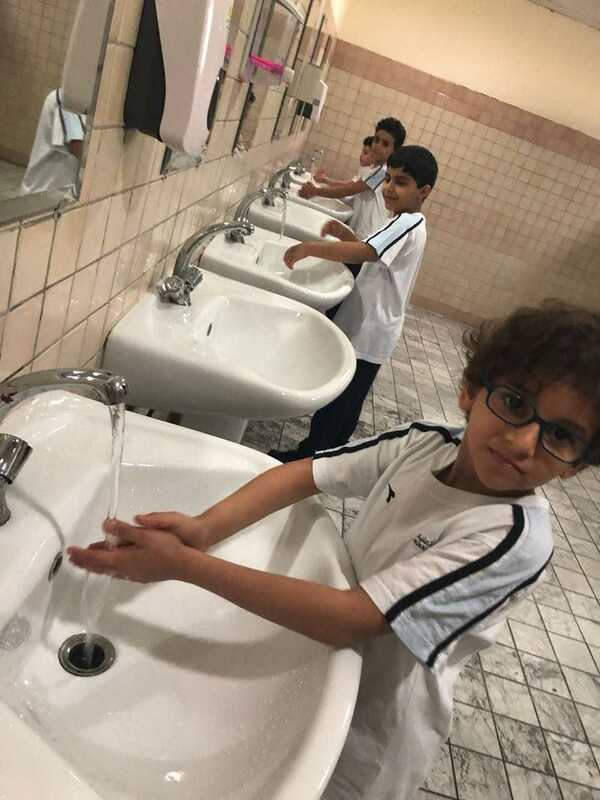 Washing hands at critical times during the day and washing with soap were both emphasized on. 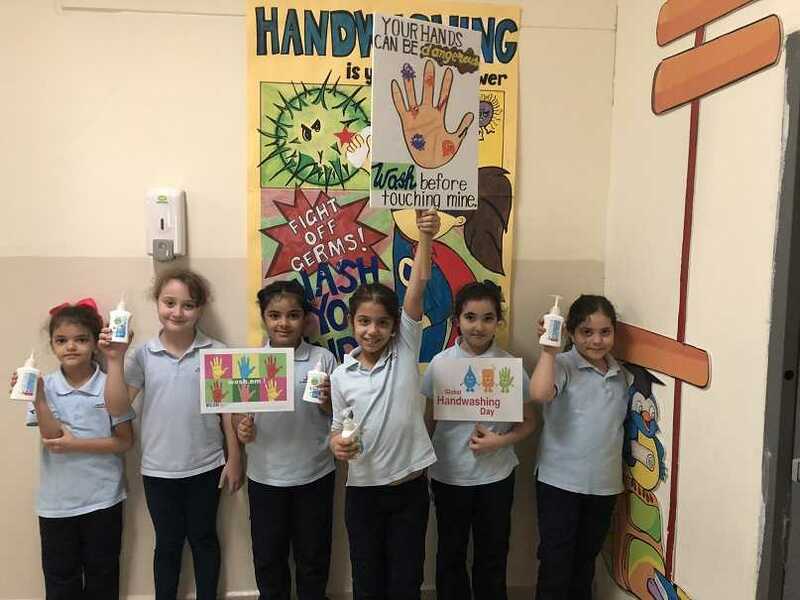 In this context, sample of liquid soap were given out to students.